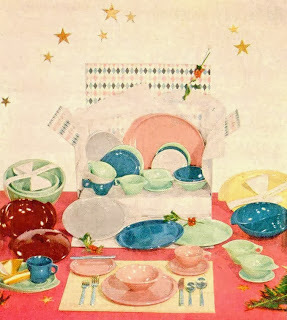 How about some Bakelite holiday goodness from 1953. 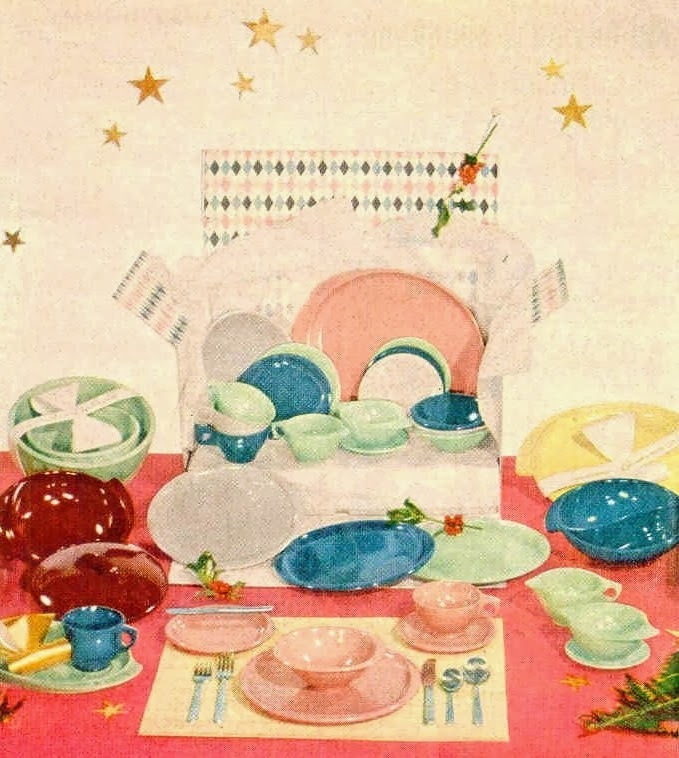 There is still so much of this vintage holiday bakelite to be found. 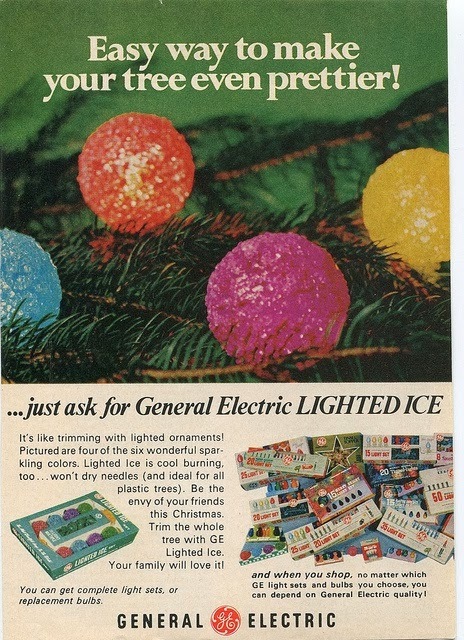 It seems like those lighted Santa's will always be findable. 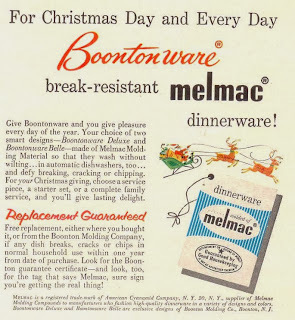 Now how about some Boontonware Melmac! Lots of pretty here! 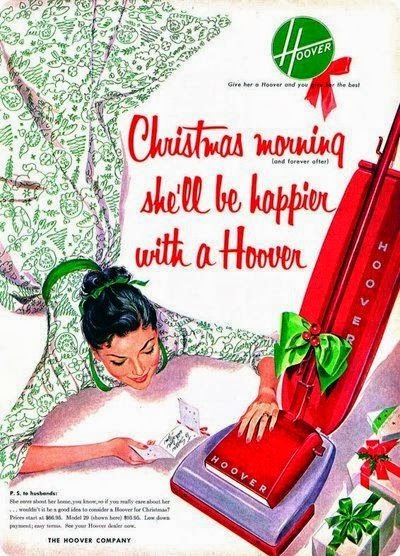 I have always joked that death would visit, if I ever got a vacuum cleaner for Christmas. But dang, if Hoover isn't making it look alright. 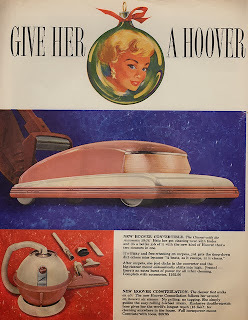 To hand your hard working wife one for Christmas. A wonderful vintage Toastmaster... which cost $16.00 ---- I suspect that was a very high end toaster. I love this style of tree lights. Made by General Electric and called "lighted ice". 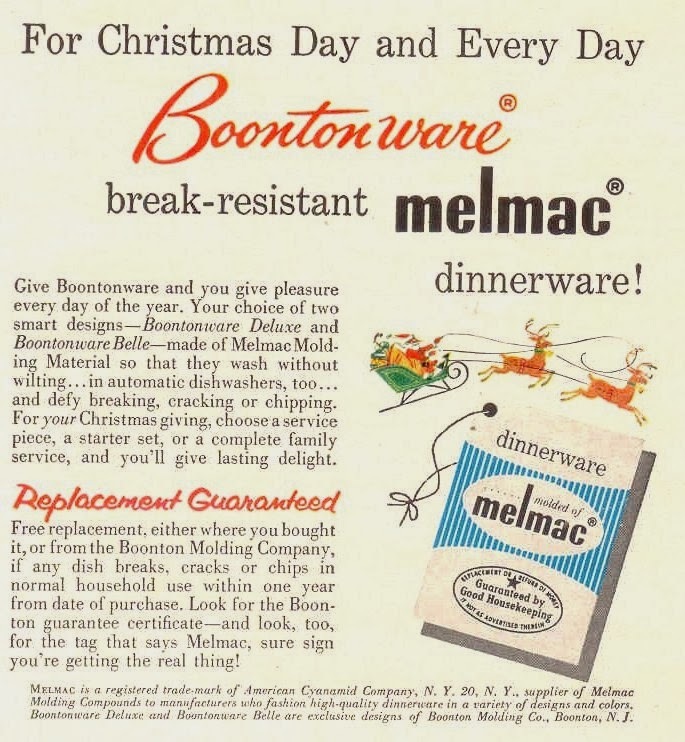 There were a couple of sets of these with my Mother's collection. But she still uses them on the front railing of their home. So they did not get to come home with me.